Anekāntavāda (Sanskrit: अनेकान्तवाद, "many-sidedness") refers to the principles of pluralism and multiplicity of viewpoints, or vantage points, the notion that reality is perceived differently from diverse points of view, and that no single point of view is the complete truth, yet taken together they comprise the complete truth. It is one of the most important and fundamental doctrines of Jainism. Jains contrast all attempts to proclaim the sole monopoly on truth with andhagajanyāyah, which can be illustrated through the parable of the "blind men and an elephant". In this story, each blind man felt a different part of an elephant (trunk, leg, ear, etc.). All the men claimed to understand and explain the true appearance of the elephant, but could only partly succeed, due to their limited perspectives. This principle is more formally stated by observing that objects are infinite in their qualities and modes of existence, so they cannot be completely grasped in all aspects and manifestations by finite human perception. (This is the Absolute Truth.) According to the Jains, only the Kevalis—omniscient beings—can comprehend objects in all aspects and manifestations; others are only capable of partial knowledge. Consequently, no single, specific, human view can claim to represent absolute truth. The origins of anekāntavāda can be traced back to the teachings of Mahāvīra (599–527 BCE), the 24th Jain Tīrthankara. The dialectical concepts of syādvāda "conditioned viewpoints" and nayavāda "partial viewpoints" arose from anekāntavāda, providing it with more detailed logical structure and expression. The Sanskrit compound an-eka-anta-vāda literally means "doctrine of uncertainty" (an- "not", ekānta "certainty" or "single-natured", vāda ("school of thought" or "thesis"); it is roughly translated into English as "non-absolutism". An-ekānta "uncertainty, non-exclusivity" is the opposite of ekānta (eka+anta) "exclusiveness, absoluteness, necessity" (or also "monotheistic doctrine"). Anekāntavāda encourages its adherents to consider the views and beliefs of their rivals and opposing parties. Proponents of anekāntavāda apply this principle to religion and philosophy, reminding themselves that any religion or philosophy—even Jainism—which clings too dogmatically to its own tenets, is committing an error based on its limited point of view. 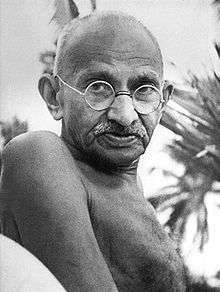 The principle of anekāntavāda also influenced Mahatma Gandhi to adopt principles of religious tolerance, ahiṃsā and satyagraha. The etymological root of anekāntavāda lies in the compound of two Sanskrit words: anekānta ("manifoldness") and vāda ("school of thought"). The word anekānta is a compound of the Sanskrit negative prefix an, eka ("one"), and anta ("attribute"). Hence, anekānta means "not of solitary attribute". The Jain doctrine lays a strong emphasis on samyaktva, that is, rationality and logic. According to Jains, the ultimate principle should always be logical and no principle can be devoid of logic or reason. Thus, the Jain texts contain deliberative exhortations on every subject, whether they are constructive or obstructive, inferential or analytical, enlightening or destructive. The phrase ‘in a way’ (syāt) declares the standpoint of expression – affirmation with regard to own substance (dravya), place (kṣetra), time (kāla), and being (bhāva), and negation with regard to other substance (dravya), place (kṣetra), time (kāla), and being (bhāva). Thus, for a ‘jar’, in regard to substance (dravya) – earthen, it simply is; wooden, it simply is not. In regard to place (kṣetra) – room, it simply is; terrace, it simply is not. In regard to time (kāla) – summer, it simply is; winter, it simply is not. In regard to being (bhāva) – brown, it simply is; white, it simply is not. And the word ‘simply’ has been inserted for the purpose of excluding a sense not approved by the ‘nuance’; for avoidance of a meaning not intended. The phrase ‘in a way’ is used to declare that the ‘jar’ exists in regard to its own substance etc. and not also in regard to other substance etc. Syādvāda, the doctrine of conditional predications, and kevalajñāna (omniscience), are both illuminators of the substances of reality. The difference between the two is that while kevalajñāna illumines directly, syādvāda illumines indirectly. Anything which is not illuminated or expressed by the two is not a substance of reality and hence a non-substance (avastu). Nayavāda is the theory of partial standpoints or viewpoints. Nayavāda is a compound of two Sanskrit words—naya ("reason" or "method") and vāda ("school of thought or thesis"). It is used to arrive at a certain inference from a point of view. An object has infinite aspects to it, but when we describe an object in practice, we speak of only relevant aspects and ignore irrelevant ones. This does not deny the other attributes, qualities, modes and other aspects; they are just irrelevant from a particular perspective. Authors like Natubhai Shah explain nayavāda with the example of a car; for instance, when we talk of a "blue BMW" we are simply considering the color and make of the car. However, our statement does not imply that the car is devoid of other attributes like engine type, cylinders, speed, price and the like. This particular viewpoint is called a naya or a partial viewpoint. As a type of critical philosophy, nayavāda holds that all philosophical disputes arise out of confusion of standpoints, and the standpoints we adopt are, although we may not realise it, "the outcome of purposes that we may pursue". While operating within the limits of language and seeing the complex nature of reality, Mahāvīra used the language of nayas. Naya, being a partial expression of truth, enables us to comprehend reality part by part. The age of Mahāvīra and Buddha was one of intense intellectual debates, especially on the nature of reality and self. Upanishadic thought postulated the absolute unchanging reality of Brahman and Ātman and claimed that change was mere illusion. The theory advanced by Buddhists denied the reality of permanence of conditioned phenomena, asserting only interdependence and impermanence. According to the vedāntin (Upanishadic) conceptual scheme, the Buddhists were wrong in denying permanence and absolutism, and within the Buddhist conceptual scheme, the vedāntins were wrong in denying the reality of impermanence. The two positions were contradictory and mutually exclusive from each other's point of view. The Jains managed a synthesis of the two uncompromising positions with anekāntavāda. From the perspective of a higher, inclusive level made possible by the ontology and epistemology of anekāntavāda and syādvāda, Jains do not see such claims as contradictory or mutually exclusive; instead, they are seen as ekantika or only partially true. The Jain breadth of vision embraces the perspectives of both Vedānta which, according to Jainism, "recognises substances but not process", and Buddhism, which "recognises process but not substance". Jainism, on the other hand, pays equal attention to both substance (dravya) and process (paryaya). The Jain samaṇīs of Ladnun uncompromisingly maintain ahiṃsā to be an eternal and unchangeable moral law. Other views and beliefs that contradict this belief would certainly be challenged, and ultimately rejected. But what is significant, is that both the rejection and retention of views is tempered by the belief that our perception conveys only a partial reality, that reality itself is manifold, and that to assume one particular viewpoint is final, is to hold a limited picture of reality. Anekāntavāda is also different from moral relativism. It does not mean conceding that all arguments and all views are equal, but rather logic and evidence determine which views are true, in what respect and to what extent (as truth in relativism, itself). While employing anekāntavāda, the 17th century philosopher monk, Yaśovijaya Gaṇi also cautions against anābhigrahika (indiscriminate attachment to all views as being true), which is effectively a kind of misconceived relativism. Jains thus consider anekāntavāda as a positive concept corresponding to religious pluralism that transcends monism and dualism, implying a sophisticated conception of a complex reality. It does not merely involve rejection of partisanship, but reflects a positive spirit of reconciliation of opposite views. However, it is argued that pluralism often degenerates to some form of moral relativism or religious exclusivism. According to Anne Vallely, anekānta is a way out of this epistemological quagmire, as it makes a genuinely pluralistic view possible without lapsing into extreme moral relativism or exclusivity. The ancient Jain texts often explain the concepts of anekāntvāda and syādvāda with the parable of the blind men and an elephant (Andhgajanyāyah), which addresses the manifold nature of truth. A group of blind men heard that a strange animal, called an elephant, had been brought to the town, but none of them were aware of its shape and form. Out of curiosity, they said: "We must inspect and know it by touch, of which we are capable". So, they sought it out, and when they found it they groped about it. In the case of the first person, whose hand landed on the trunk, said "This being is like a drain pipe". For another one whose hand reached its ear, it seemed like a kind of fan. As for another person, whose hand was upon its leg, said, "I perceive the shape of the elephant to be like a pillar". And in the case of the one who placed his hand upon its back said, "Indeed, this elephant is like a throne". Now, each of these presented a true aspect when he related what he had gained from experiencing the elephant. None of them had strayed from the true description of the elephant. Yet they fell short of fathoming the true appearance of the elephant. The principle of anekāntavāda is the foundation of many Jain philosophical concepts. The development of anekāntavāda also encouraged the development of the dialectics of syādvāda (conditioned viewpoints), saptibhaṅgī (the seven conditioned predication), and nayavāda (partial viewpoints). A monk living single should not ridicule heretical doctrines, and should avoid hard words though they be true; he should not be vain, nor brag, but he should without embarrassment and passion preach the Law. A monk should be modest, though he be of a fearless mind; he should expound the syādvāda, he should use the two permitted kinds of speech, living among virtuous men, impartial and wise. The early Jain canons and teachings contained multitudes of references to anekāntavāda and syādvāda in rudimentary form without giving it proper structure or establishing it as a separate doctrine. Śvētāmbara text, Sutrakritanga contains references to Vibhagyavāda, which, according to Hermann Jacobi, is the same as syādvāda and saptibhaṅgī. Bhagvatisūtra mentions only three primary predications of the saptibhaṅgīnaya. After Mahāvīra, Kundakunda (1st century CE) was the first author–saint to expound on the doctrine of syādvāda and saptibhaṅgī and give it a proper structure in his famous works Pravacanasāra and Pancastikayasāra. Kundakunda also used nayas to discuss the essence of the self in Samayasāra. Proper classification of the nayas was provided by the philosopher monk, Umāsvāti (2nd century CE) in Tattvārthasūtra. Samantabhadra (2nd century CE) and Siddhasena Divākara (3rd century CE) further fine-tuned Jain epistemology and logic by expounding on the concepts of anekāntavāda in proper form and structure. Vikramāditya: What is 'truth'? That which is said repeatedly, that which is said loudly, that which is said with authority or that which is agreed by the majority? Divākara: None of the above. Every one has his own definition of 'truth' and that it is conditional. Vikramāditya: How about traditions? They have been established by our ancestors and have passed the test of time? Divākara: Would the system established by ancestors hold true on examination? In case it does not, I am not here to justify it for the sake of saving the traditional grace of the dead, irrespective of the wrath I may have to face. In Sanmatitarka, Divākara further adds: "All doctrines are right in their own respective spheres—but if they encroach upon the province of other doctrines and try to refute their view, they are wrong. A man who holds the view of the cumulative character of truth never says that a particular view is right or that a particular view is wrong." The period beginning with the start of common era, up to the modern period is often referred to as the age of logic in the history of Jain philosophy. 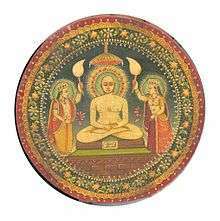 By the time of Akalanka (5th century CE), whose works are a landmark in Jain logic, anekāntavāda was firmly entrenched in Jain texts, as is evident from the various teachings of the Jain scriptures. Ācārya Haribhadra (8th century CE) was one of the leading proponents of anekāntavāda. He was the first classical author to write a doxography, a compendium of a variety of intellectual views. This attempted to contextualise Jain thoughts within the broad framework, rather than espouse narrow partisan views. It interacted with the many possible intellectual orientations available to Indian thinkers around the 8th century. Ācārya Vidyānandi (11th century CE) provides the analogy of the ocean to explain the nature of truth in Tattvarthaslokavārtikka, 116: "Water from the ocean contained in a pot can neither be called an ocean nor a non-ocean, but simply a part of ocean. Similarly, a doctrine, though arising from absolute truth can neither be called a whole truth nor a non-truth." Anekāntavāda played a pivotal role in the growth as well as the survival of Jainism in ancient India, especially against onslaughts from Śaivas, Vaiṣṇavas, Buddhists, Muslims, and Christians at various times. According to Hermann Jacobi, Mahāvīra used such concepts as syādvāda and saptbhangi to silence some of his opponents. The discussions of the agnostics led by Sañjaya Belaṭṭhaputta had probably influenced many of their contemporaries and consequently syādvāda may have seemed to them a way out of ajñānavāda. Jacobi further speculates that many of their followers would have gone over to Mahāvīra's creed, convinced of the truth of the saptbhanginaya. According to Professor Christopher Key Chapple, anekāntavāda allowed Jains to survive during the most hostile and unfavourable moments in history. According to John Koller, professor of Asian studies, anekāntavāda allowed Jain thinkers to maintain the validity of their doctrine, while at the same time respectfully criticizing the views of their opponents. Anekāntavāda was often used by Jain monks to obtain royal patronage from Hindu Kings. Ācārya Hemacandra used anekāntavāda to gain the confidence and respect of the Cālukya Emperor Jayasimha Siddharaja. According to the Jain text Prabandhacantamani, Emperor Siddharaja desired enlightenment and liberation and he questioned teachers from various traditions. He remained in a quandary when he discovered that they all promoted their own teachings while disparaging other teachings. Among the teachers he questioned was Hemacandra, who, rather than promote Jainism, told him a story with a different message. According to his story, a sick man was cured of his disease after eating all the herbs available, as he was not aware which herb was medicinal. The moral of the tale, according to Hemacandra, was that just as the man was restored by the herb, even though no one knew which particular herb did the trick, so in the kaliyuga ("age of vice") the wise should obtain salvation by supporting all religious traditions, even though no-one can say with absolute certainty which tradition it is that provides that salvation. Jain religious tolerance fits well with the ecumenical disposition typical of Indian religions. It can be traced to the analogous Jain principles of anekāntavāda and ahiṃsā. The epistemology of anekāntavāda and syādvāda also had a profound impact on the development of ancient Indian logic and philosophy. 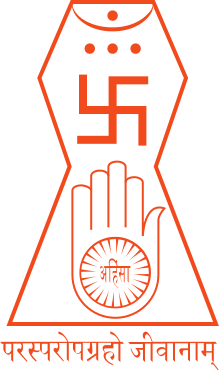 In recent times, Jainism influenced Gandhi, who advocated ahiṃsā and satyagraha. The concepts of anekāntavāda and syādvāda allow Jains to accept the truth in other philosophies from their own perspective and thus inculcate tolerance for other viewpoints. Anekāntavāda is non-absolutist and stands firmly against all dogmatisms, including any assertion that Jainism is the only correct religious path. It is thus an intellectual ahiṃsā, or ahiṃsā of the mind. Burch writes, "Jain logic is intellectual ahiṃsā. Just as a right-acting person respects the life of all beings, so a right-thinking person acknowledges the validity of all judgments. This means recognizing all aspects of reality, not merely one or some aspects, as is done in non-Jain philosophies." Mahāvīra encouraged his followers to study and understand rival traditions in his Acaranga Sutra: "Comprehend one philosophical view through the comprehensive study of another one." In anekāntavāda, there is no "battle of ideas", because this is considered to be a form of intellectual himsa or violence, leading quite logically to physical violence and war. In today's world, the limitations of the adversarial, "either with us or against us" form of argument are increasingly apparent by the fact that the argument leads to political, religious and social conflicts. Sūtrakrtānga, the second oldest canon of Jainism, provides a solution by stating: "Those who praise their own doctrines and ideology and disparage the doctrine of others distort the truth and will be confined to the cycle of birth and death." This ecumenical and irenical attitude, engendered by anekāntavāda, allowed modern Jain monks such as Vijayadharmasuri to declare: "I am neither a Jain nor a Buddhist, a Vaisnava nor a Saivite, a Hindu nor a Muslim, but a traveler on the path of peace shown by the supreme soul, the God who is free from passion." Some modern authors believe that Jain philosophy in general and anekāntavāda in particular can provide a solution to many problems facing the world. They claim that even the mounting ecological crisis is linked to adversarialism, because it arises from a false division between humanity and "the rest" of nature. Modern judicial systems, democracy, freedom of speech, and secularism all implicitly reflect an attitude of anekāntavāda. Many authors, such as Kamla Jain, have claimed that the Jain tradition, with its emphasis on ahimsā and anekāntavāda, is capable of solving religious intolerance, terrorism, wars, the depletion of natural resources, environmental degradation and many other problems. Referring to the September 11 attacks, John Koller believes that violence in society mainly exists due to faulty epistemology and metaphysics as well as faulty ethics. A failure to respect the life and views of others, rooted in dogmatic and mistaken knowledge and refusal to acknowledge the legitimate claims of different perspectives, leads to violent and destructive behaviour. Koller suggests that anekāntavāda has a larger role to play in the world peace. According to Koller, because anekāntavāda is designed to avoid one-sided errors, reconcile contradictory viewpoints, and accept the multiplicity and relativity of truth, the Jain philosophy is in a unique position to support dialogue and negotiations amongst various nations and peoples. Some Indologists like Professor John Cort have cautioned against giving undue importance to "intellectual ahiṃsā" as the basis of anekāntavāda. He points out that Jain monks have also used anekāntavāda and syādvāda as debating weapons to silence their critics and prove the validity of the Jain doctrine over others. According to Dundas, in Jain hands, this method of analysis became a fearsome weapon of philosophical polemic with which the doctrines of Hinduism and Buddhism could be pared down to their ideological bases of simple permanence and impermanence, respectively, and thus could be shown to be one-pointed and inadequate as the overall interpretations of reality they purported to be. On the other hand, the many-sided approach was claimed by the Jains to be immune from criticism since it did not present itself as a philosophical or dogmatic view. Gandhi was deeply influenced by Jainism. I am an Advaitist and yet I can support Dvaitism (dualism). The world is changing every moment, and is therefore unreal, it has no permanent existence. But though it is constantly changing, it has a something about it which persists and it is therefore to that extent real. I have therefore no objection to calling it real and unreal, and thus being called an Anekāntavadi or a Syādvadi. But my Syādvāda is not the Syādvāda of the learned, it is peculiarly my own. I cannot engage in a debate with them. It has been my experience that I am always true from my point of view, and am often wrong from the point of view of my honest critics. I know that we are both right from our respective points of view. And this knowledge saves me from attributing motives to my opponents or critics. The seven blind men who gave seven different descriptions of the elephant were all right from their respective points of view, and wrong from the point of view of one another, and right and wrong from the point of view of the man who knew the elephant. I very much like this doctrine of the manyness of reality. It is this doctrine that has taught me to judge a Musulman from his standpoint and a Christian from his. Formerly I used to resent the ignorance of my opponents. Today I can love them because I am gifted with the eye to see myself as others see me and vice versa. I want to take the whole world in the embrace of my love. My Anekāntavāda is the result of the twin doctrine of Satyagraha and ahiṃsā. The doctrines of anekāntavāda and syādavāda are often criticised on the grounds that they engender a degree of hesitancy and uncertainty, and may compound problems rather than solve them. It is also pointed out that Jain epistemology asserts its own doctrines, but at the cost of being unable to deny contradictory doctrines. Furthermore, it is also argued that this doctrine could be self-defeating. It is argued that if reality is so complex that no single doctrine can describe it adequately, then anekāntavāda itself, being a single doctrine, must be inadequate. This criticism seems to have been anticipated by Ācārya Samantabhadra who said: "From the point of view of pramana (means of knowledge) it is anekānta (multi-sided), but from a point of view of naya (partial view) it is ekanta (one-sided)." Icon of Adi Sankarācārya, the Advaita philosopher, who criticised the doctrine of anekāntavāda. However, many believe that Sankara fails to address genuine anekāntavāda. By identifying syādavāda with sansayavāda, he instead addresses "agnosticism", which was argued by Sañjaya Belaṭṭhaputta. Many authors like Pandya believe that Sankara overlooked that, the affirmation of the existence of an object is in respect to the object itself, and its negation is in respect to what the object is not. Genuine anekāntavāda thus considers positive and negative attributes of an object, at the same time, and without any contradictions. The person who criticises without understanding the prima facie view is acting like a jester and not a critic. The Buddha was born a deer and the deer was born as Buddha; but Buddha is adorable and deer is only a food. Similarly, due to the strength of an entity, with its differences and similarities specified, nobody would eat camel if implored to eat curd. ↑ Dundas, Paul (2004). "Beyond Anekāntavāda : A Jain approach to religious tolerance". In (ed.) Tara Sethia. Ahimsā, Anekānta, and Jaininsm. Delhi: Motilal Banarsidass Publ. pp. 123–136. ISBN 81-208-2036-3. 1 2 3 Koller, John (2004). "Why is Anekāntavāda important?". In (ed.) Tara Sethia. Ahimsā, Anekānta, and Jaininsm. Delhi: Motilal Banarsidass Publ. pp. 400–07. ISBN 81-208-2036-3. 1 2 Hughes, Marilynn (2005). The voice of Prophets. Volume 2 of 12. Morrisville, North Carolina: Lulu.com. pp. 590–591. ISBN 1-4116-5121-9. 1 2 3 Huntington, Ronald. "Jainism and Ethics". Archived from the original on 19 August 2007. Retrieved 2007-07-18. 1 2 Hay, Stephen N. (1970). "Jain Influences on Gandhi's Early Thought". In (ed.) Sibnarayan Ray. Gandhi India and the World. Bombay: Nachiketa Publishers. pp. 14–23. ↑ Vijay K Jain 2016, p. 27. ↑ Ācārya Siddhasena Divākara, Sanmatitarka, 1:28. T. W. Rhys Davids (1980) pp. 39–40. 1 2 3 "Face to faith". Book Review : The Jain Path: Ancient Wisdom for the West; by Adian Rankin. London: The Guardian. January 27, 2007. Archived from the original on 4 May 2008. Retrieved 2008-06-06. Burch, George Bosworth (1964). "Seven-Valued Logic in Jain Philosophy". International Philosophical Quarterly. Bronx, NY. IV (1): 68–93. doi:10.5840/ipq19644140. ISSN 0019-0365. Cort, John (July 2000). "Intellectual Ahiṃsā revisited". Philosophy East and West. University of Hawai'i Press. 50 (3): 324–47. JSTOR 1400177. Nagendra Kr. Singh, ed. (2001). "The Evolution of Jaina Philosophy". Encyclopedia of Jainism. New Delhi: Anmol Publications. ISBN 81-261-0691-3. Pandya, V. (2001). "Refutation of Jaina Darsana by Sankaracarya". In Nagendra Kr. Singh. Encyclopedia of Jainism. New Delhi: Anmol Publications. ISBN 81-261-0691-3. Griffin, David Ray (2005). Deep Religious Pluralism. Louisville, KY: Westminster John Knox Press. ISBN 0-664-22914-X. Jacobi, Hermann (1884). (ed.) F. Max Müller, ed. The Ācāranga Sūtra. Sacred Books of the East vol.22, Part 1. Oxford: The Clarendon Press. ISBN 0-7007-1538-X. Note: ISBN refers to the UK:Routledge (2001) reprint. URL is the scan version of the original 1884 reprint. Jacobi, Hermann (1895). F. Max Müller, ed. The Sūtrakritanga. Sacred Books of the East vol.45, Part 2. Oxford: The Clarendon Press. ISBN 0-7007-1538-X. Note:ISBN refers to the UK:Routledge (2001) reprint. URL is the scan version of the original 1895 reprint. Matilal, B.K. (1981). The Central Philosophy of Jainism (Anekāntavāda). L.D. Series 79. Ahmedabad. Rankin, Aidan (2006). The Jain Path: Ancient Wisdom for the West. Winchester, UK: O Books. ISBN 1-905047-21-5. Sethia, Tara, ed. (2004). Ahimsā, Anekānta, and Jaininsm. Delhi: Motilal Banarsidass Publ. ISBN 81-208-2036-3.